[PDF] The Wiley Handbook of the Psychology of Mass Shootings (Wiley Clinical Psychology Handbooks) | Free eBooks Download - EBOOKEE! 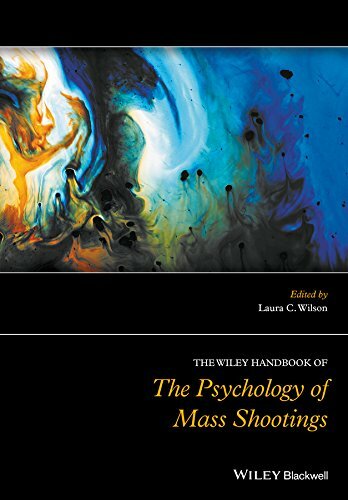 Description: by Laura C. Wilson (Editor) The Wiley Handbook of the Psychology of Mass Shootings gathers together the latest insights from research and practice in one timely and much-needed reference work. The first full-length academic examination of mass shootings from a psychological perspective Contains 21 essays written by a global team of experts Covers a broad range of topics, including the psychology of perpetrators, the role of the media, psychological considerations and clinical interventions for affected individuals, prevention, ethical issues, and areas for future research Provides best practices for clinicians, academics, and policymakers dealing with these increasingly prevalent incidents of violence About the Author Laura C. Wilson is Assistant Professor in the Department of Psychological Science at the University of Mary Washington, USA. Her main area of research and clinical expertise is post-trauma functioning, particularly in survivors of mass trauma such as mass shootings, terrorism, or combat or sexual violence. She also has expertise in predictors of violence and aggression, including psychophysiological and personality factors. She has published widely in a variety of peer-reviewed journals, including Violence and Victims, Journal of Interpersonal Violence, Journal of Aggression, Maltreatment & Trauma, and Psychological Trauma: Theory, Research, Practice, and Policy. No comments for "[PDF] The Wiley Handbook of the Psychology of Mass Shootings (Wiley Clinical Psychology Handbooks)".